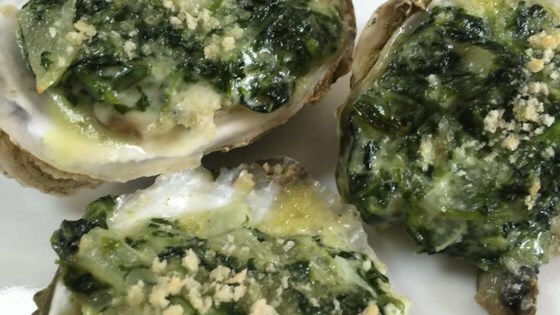 See how to put a cheesy twist on traditional Oysters Rockefeller. I'm sorry but this was a big glob of cheese. Oysters Rockerfeller should be more spinach. I should have know better when I saw 8oz of 3 different cheeses and only on 10oz pkg spinach. These were delicious & made a wonderful presentation! I couldn't find Fontina cheese so used Gouda instead. They were a bit on the salty side so would recommend omitting the salt altogether.